Hegge Stave church is an early 13th century stave church located in Øystre Slidre municipality in Valdres, Norway. The first recorded reference to the church is from 1327. Dendrochronological dating of some of the logs in the church, however, indicates that the church was built around 1216. It is a basilica type church with 8 free-standing interior columns forming an arcade, surrounding a central area with a raised roof. A runic inscription on the church reads: Erling Arnson wrote these runes. Here's the our members favorite photos of "Churches near Vestre Slidre". 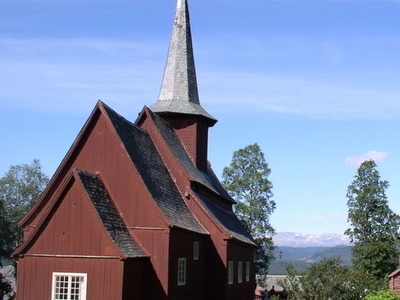 Upload your photo of Hegge Stave Church!